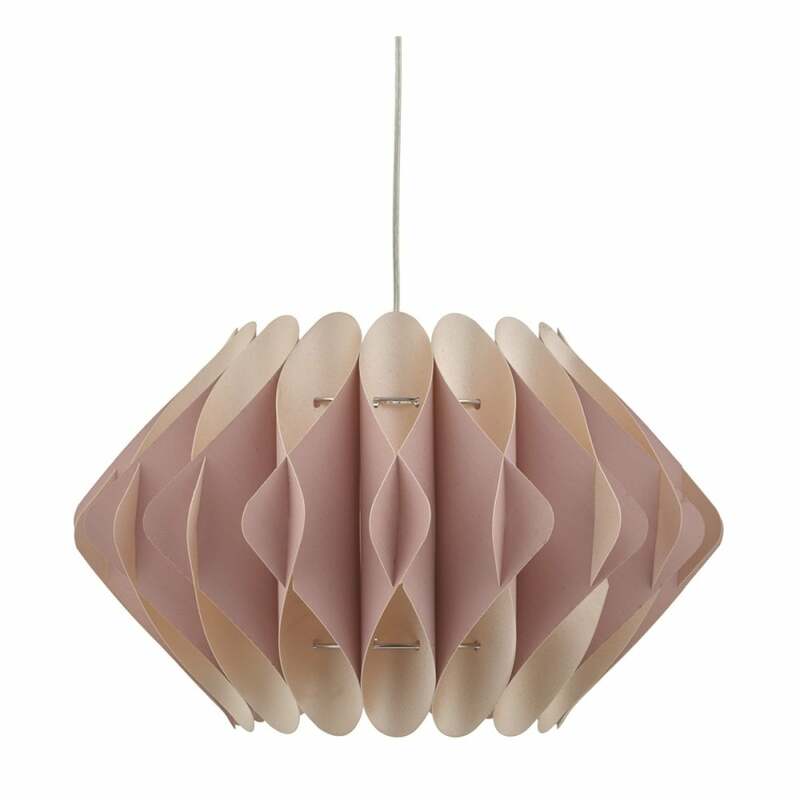 A folded pink and cream paper lamp shade that's sure to add unique charm to your interiors. Great for a lounge or bedroom. This is a shade only and does not come with a suspension. To fit an ES/E27 lamp holder or BC/B22 with a reducer.